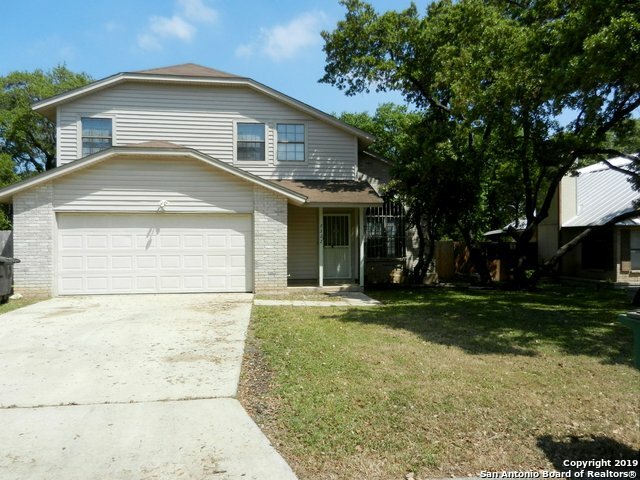 All STERLING OAKS homes currently listed for sale in San Antonio as of 04/18/2019 are shown below. You can change the search criteria at any time by pressing the 'Change Search' button below. "Need space? This home offers 3 bedrooms, 2.5 bathrooms, 2 living areas, dining area, breakfast bar, plenty of kitchen storage, fireplace & an upstairs game room. Large master bedroom with oversized closet, 2 vanities, tub and separate shower. Laminate wood flooring in living and dining, carpet in family room, and upstairs. Good size backyard with privacy fence is perfect for fido!" "Close with Walter Church, Atty 242 Sunset 78209. OWNER CARRY***NO QUALIFYING*** OWNER CARRY. New Frigidaire Electric Range. All New...Bosch Dishwasher, Disposal, Moen Faucets. Bathtubs refinished . Fresh Paint, New Blinds. Large backyard. Covered Deck. FINANCING 20% Down ($42,000). 9% for 30 years. Monthly Payment Approx. $1351.77(P&I). Approx Total of $1772.00. (PITI) Taxes & Insurance May Vary. Also Available...6410 Village Park, 78250. Same Financing."